Most of the dimensions found in the ADA are for adults. 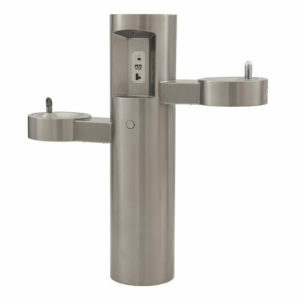 There are a few technical requirements that are for children. 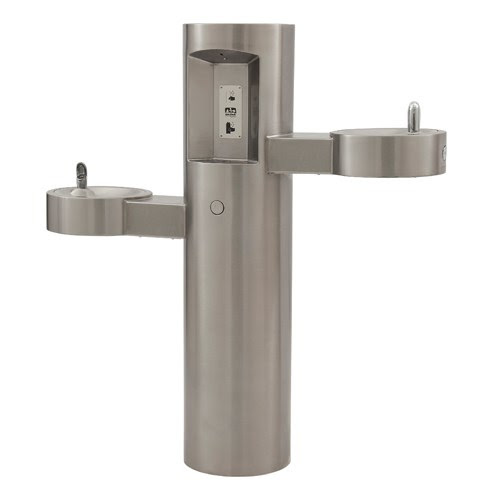 One of them is for drinking fountains. What gets confusing is that the requirements listed are for adults. So how do we incorporate the children’s drinking fountains in our design? 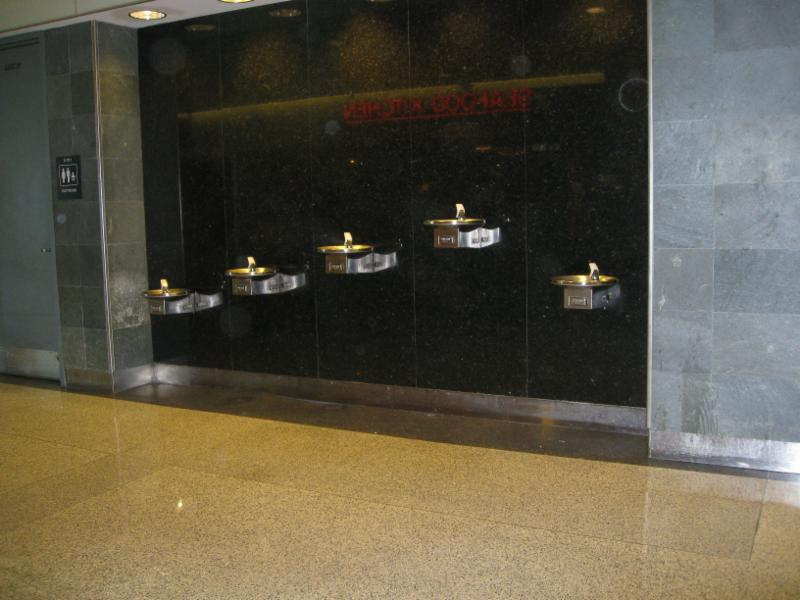 The minimum number of drinking fountains that must be provided are two. One of them must be for a person in a wheelchair and one must be for a standing person, or a person that cannot bend down. 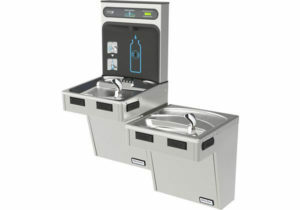 There is an exception that allows us to use a single drinking fountain that has a low spout and a high spout can be used instead of two separate ones. 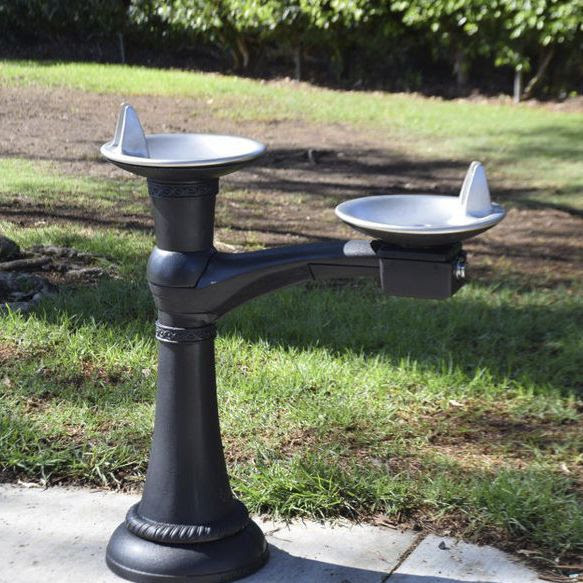 This clarification tells us that the two drinking fountains required to be provided do not have to be in the same location. So as long as you have the proper number in the facility, you are compliant. 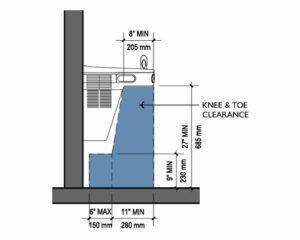 Drinking fountains are required to have a 30″x48″ clear floor space with a forward approach knee space and centered on the unit. There is one exception for children. 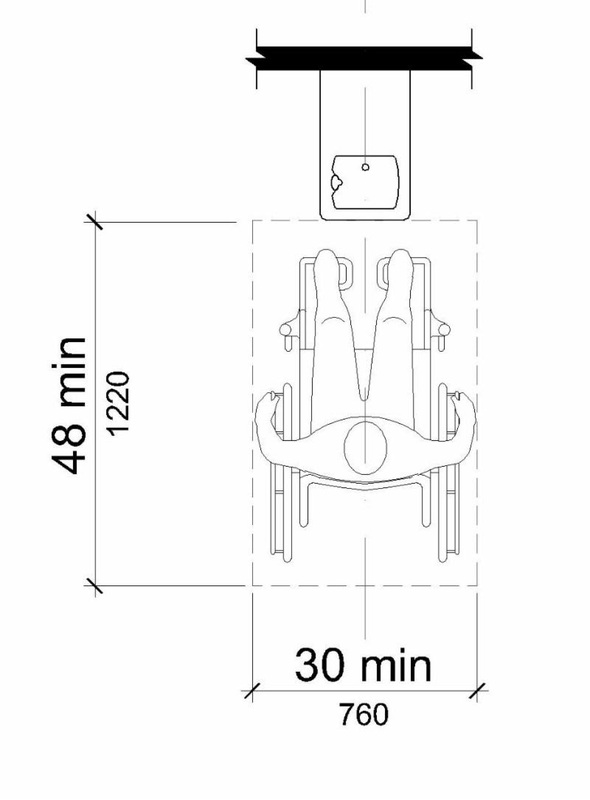 A parallel approach is permitted at units for children’s use where the spout is 30 inches maximum above the finish floor or ground and is 3½ inches maximum from the front edge of the unit, including bumpers. 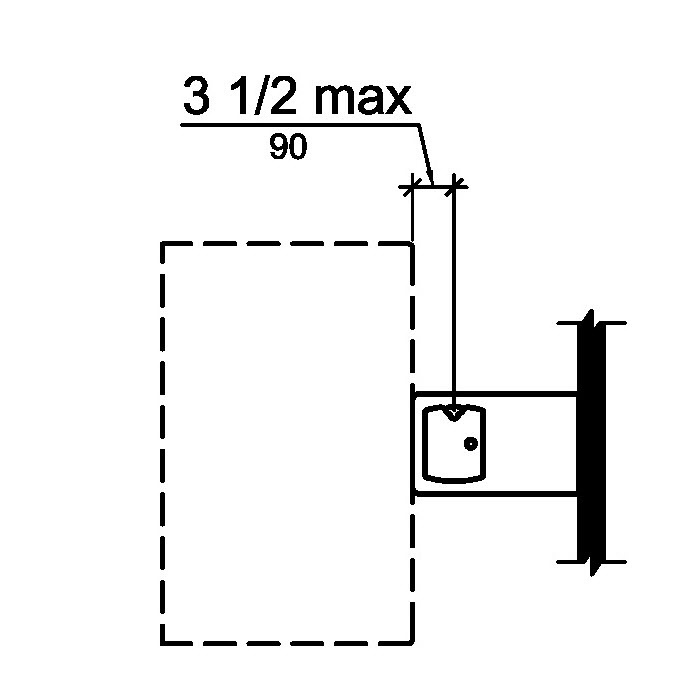 a 30 inch x 48 inch clear floor space positioned for a parallel approach as long as the spout is no farther than 3 1/2 inches from the front of the unit and the spout is no higher than 30 inches a.f.f. 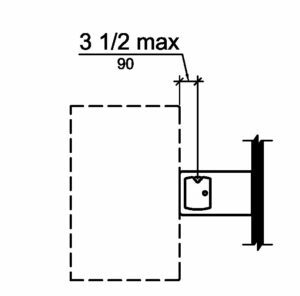 This exception gives us guidance that it is allowed to use a children’s height drinking fountain instead of an adult height wheelchair drinking fountain. 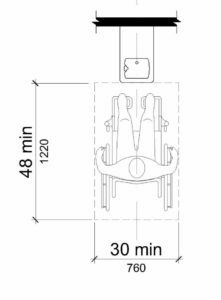 So if you are providing the two minimum number of wheelchairs required in the scoping, one must be for an adult standing and one can be for a child. You are not required to provide a third drinking fountain for an adult in a wheelchair. 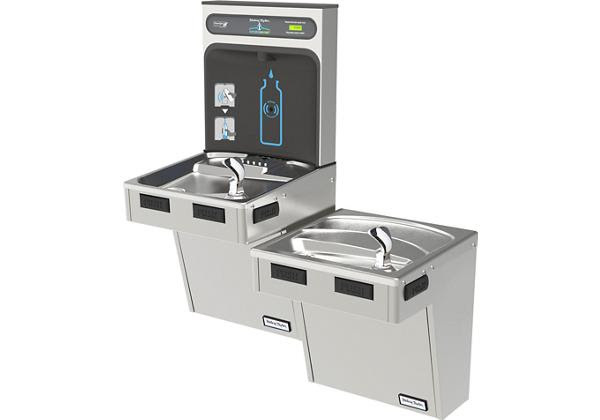 It is recommended that you do provide an adult wheelchair drinking fountain if your facility will have both adults and children as the primary users. 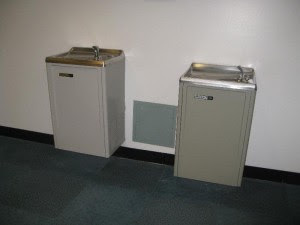 But if you have a pre-school with drinking fountains for children in the classrooms, these can be counted as your 50% of the required drinking fountains.